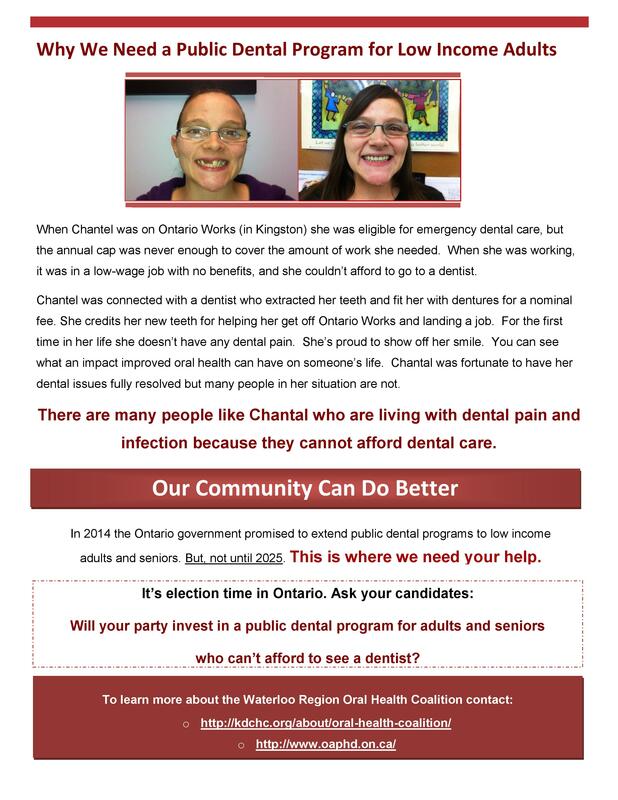 All residents of Waterloo Region have access to an affordable continuum of oral health services. The Waterloo Region Oral Health Coalition’s purpose is to support education, advocacy and action to increase access to affordable oral health services for individuals and families. Increase awareness and navigation of existing oral health care services, including oral health promotion, disease prevention and timely access to comprehensive dental care. Support the development of new initiatives by rallying existing and emerging community resources in ways that increase access to services. Raise awareness about barriers to oral health care in Waterloo Region. 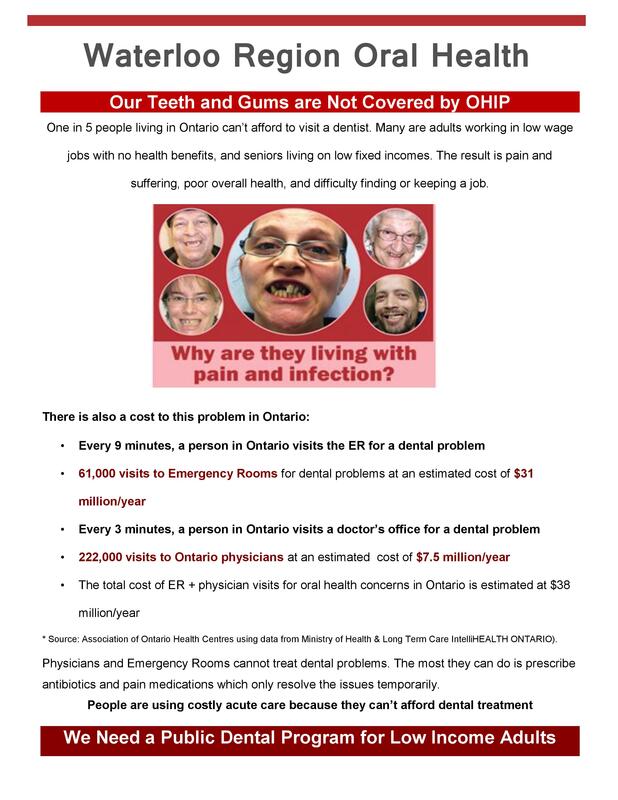 Support the development of regional and provincial policy that creates access to oral health services. 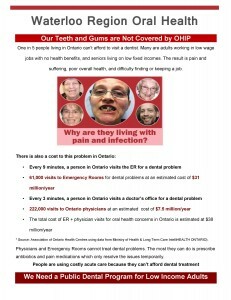 Work in collaboration with other oral health coalitions in Ontario to achieve goals. The Waterloo Region Oral Health Coalition is working closely with other oral health coalitions in Ontario (many of them hosted by Community Health Centres) to increase access to dental care. The coalitions are working together with the leadership of the Ontario Oral Health Alliance (OOHA) to advocate at a provincial level to reduce disparities in oral health.